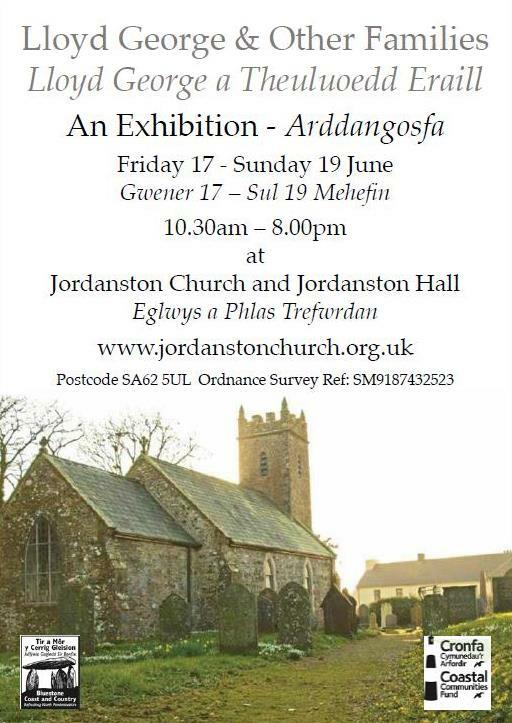 We have recognised that Jordanston Church has needed serious renovation for some time. We have been actively fundraising for several years in the hope to raise sufficient funds to tackle the project. However, time and the current deterioration we have had to turn to several funding bodies to assist. So to date, during the past year we have enlisted the help of the Heritage Lottery Fund who have supported our initial development application and have pledged a significant sum to support the main and urgent repairs. 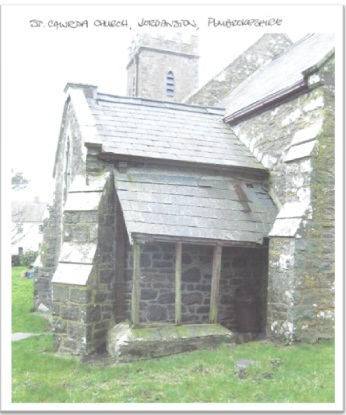 We have also received the support of The Welsh Churches Act Fund. We are truly honoured to have two Patrons, Viscount Tenby who has kindly written a foreword to our booklet (reproduced below) and Earl of Dwyfor. Jordanston and its surrounding district. prevent my being able to say truthfully that I visited the village. are making such a contribution towards its success. Cathedral concert raises the roof for a country Church. 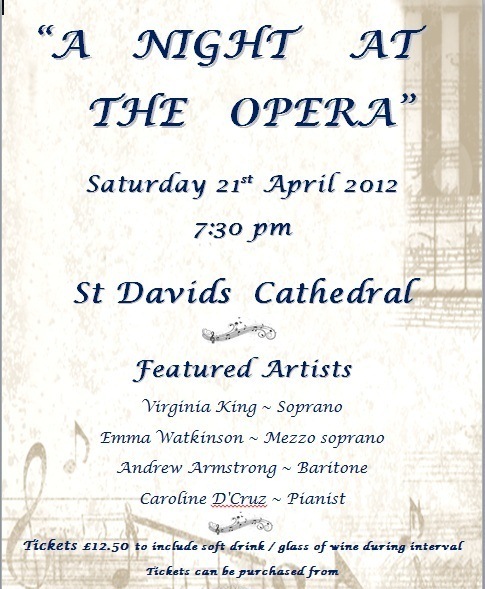 The standing ovation at St Davids Cathedral following a delightful concert was a fitting tribute to the artistes of the evening. The programme arranged by Andrew Armstrong featured operatic and musical favourites performed with passion and pleasure. Andrew, originally from Llandovery is well known in the south west of England in stage and recital. He was joined by his wife, Caroline D’Cruz who accompanied both him and mezzo soprano Emma Watkinson. During the first half the audience heard popular excerpts from several operas including Emma’s spellbinding rendition of Dido’s Lament from Purcell’s Dido and Aeneas to the one of the most frequently sung opera’s - Bizet’s Carmen – where Andrew’s performance of the “Toreador’s Song” Emma’s “Seguidilla” delighted their audience . Meanwhile Caroline who accompanied the singers throughout gave her own performance of Chopin’s “Nocturne” which was simply breathtaking. The second half the audience were treated to a selection of songs from popular musicals including “South Pacific”, “My Fair Lady” and “Porgy and Bess.” To select a highlight would be very difficult but Andrew’s “If I were a rich man” and the Emma’s “Summertime” were wonderful. Again they were so ably supported by Caroline’s accompaniment. 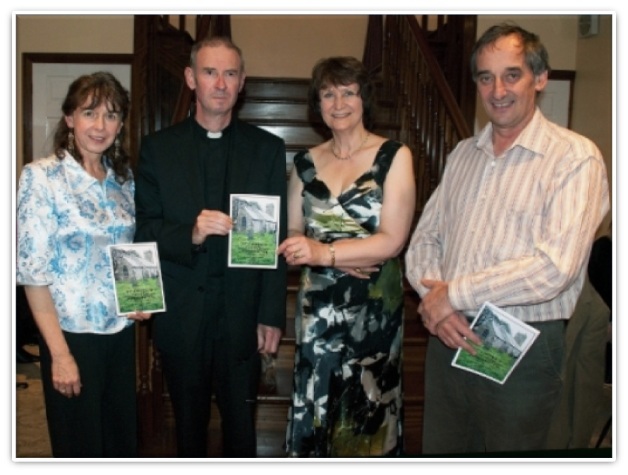 The concert was held to raise much need funds for the restoration of Jordanston Church. The members of the church have staged various fundraising events in recent years to raise sufficient funds to repair the Grade II listed building. In the interval people were able to buy the Booklet produced by the church to record the historical connections with the building and the parish. 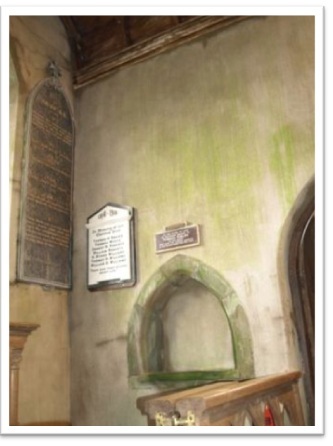 The Heritage Lottery Fund has kindly awarded £66,300 to the project but the church still needs to raise enough to cover further repairs outside the scope of the Heritage Lottery Fund. 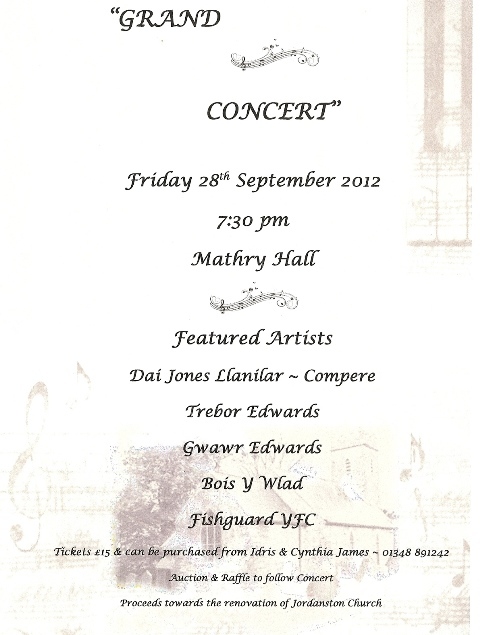 Sell-out concert raises £7000 for local church! Tickets for the concert held recently in aid of Jordanston Church were sold out long before the wonderful evening of music and comedy came around. The line up of artists ensured that tickets would be much sought after, and the venue at Mathry Hall was full to capacity to enjoy the show. 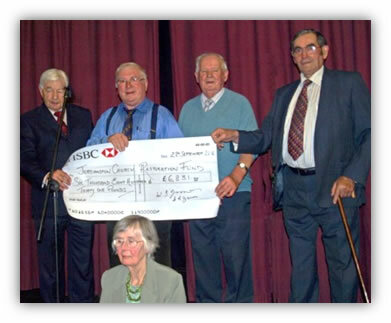 Acting as compere and auctioneer was Mr Dai Jones, Llanilar. Dai kept his audience amused by his wonderfully funny stories in between introducing other artists from near and far. The musical evening opened with local group Bois-y Wlad, accompanied by Mrs Margaret Evans. Bois y Wlad are well-known in the area for their singing and are a popular choice at concerts and functions such as weddings etc. They were followed by the ever popular Mr Trebor Edwards from Corwen North Wales accompanied by Mrs Margaret Rees. Trebor included “If I only had time” as a special request from the audience amongst his repertoire. Following him was Miss Gwawr Edwards, an exceptionally talented young lady who wowed everyone by her beautiful voice, warmth and glamour. She was ably accompanied by her sister Miss Menna Edwards on the piano. The hall was then treated to a very funny sketch well performed by Fishguard Young Farmers Club. Dai Jones then acted as auctioneer when a large number of items kindly donated by several local businesses were sold off. President of the evening was Mr Leslie Raymond, Llandeloy. 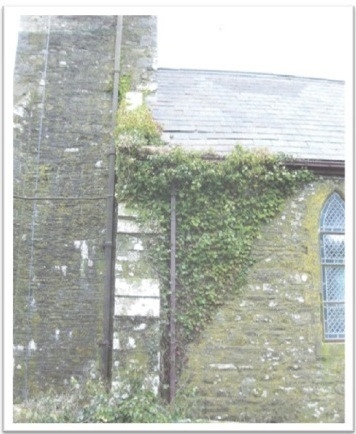 Mr Raymond acknowledged the efforts of the church members in restoring St Cwrda’s Church Jordanston. The church is a Grade II listed building with significant historical connections especially to the family of David Lloyd George former UK Prime Minister. A large part of the restoration has now been completed helped by the support of The Heritage Lottery Fund who has committed £66.000 to the project. 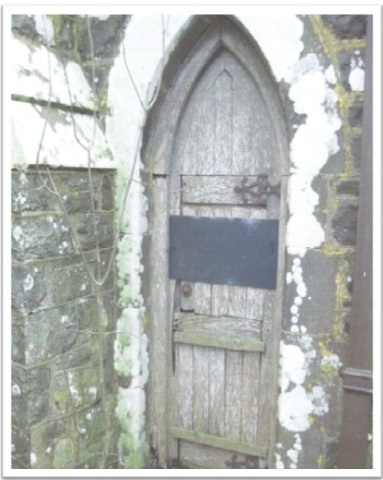 This has enabled the church roof to be repaired and the vestry door to be replaced. However, there is still more work needed to be done which falls outside the scope of the Lottery funding. 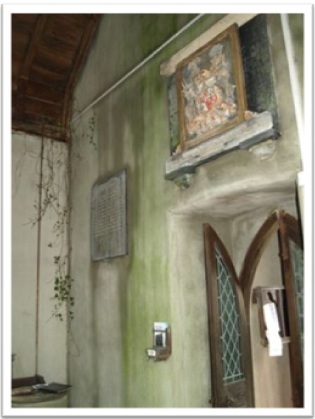 This includes re-wiring the building, improving access and repairing the church gates; hence the on-going fundraising efforts. Members of Jordanston Church wish to thank all those people who contributed to making the evening such a success. Heartfelt thanks are sent to all the artists who gave their time, to the donors of auction and raffle prizes and to those who bought items so generously. A total of £7000 was raised by the end of the evening! Special mention must be made to Idris and Cynthia James, Henderwen and family who organised this highly successful event to support their local church.